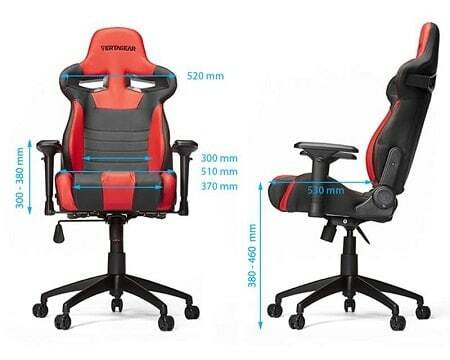 If you spend a lot of time at your desk, you already know the difference between a good and bad chair. If you don’t, let’s simplify things. A bad chair is one that becomes uncomfortable after an hour or so. 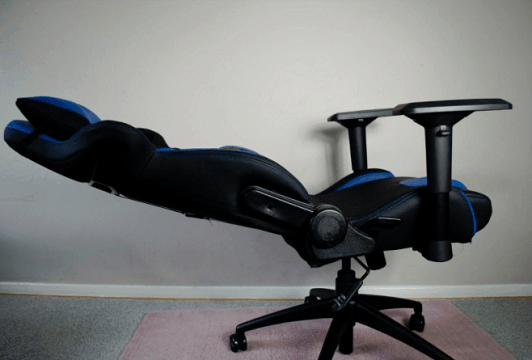 A good chair? Well, it causes no problems after extended use and offers greater versatility. Take, for instance, the Vertagear SL4000. It’s an attractive, ergonomic gaming chair with an understated design suitable for any home office. Look closely, though, and you’ll find that it has a wealth of functionality that’s not immediately apparent. So what exactly does it have to offer? How about high-density foam? It’s more resilient than most chairs have and will last far longer without becoming hard and compressed. Not enough? Its steel frame provides enhanced structural support and ensures you’re not going to break it anytime soon. Even the base is reinforced! This allows the SL4000 to support heavier users. It has a weight limit of 330lbs, which is 10% more than even the most heavy-duty chairs on the market. As you might expect, neck and lumbar cushions are included. These feature adjustable straps that can be used to change the horizontal and vertical positioning for that perfect fit. Believe it or not, we’re still not done. This model has fully articulating armrests that can move in, out, up, down, and rotate. The seat angle can be freely changed and locked into one of five positions, and with a recline angle of 140°, you can almost lie completely flat. Thanks to the weighted base, the chair won’t tip – good, right? 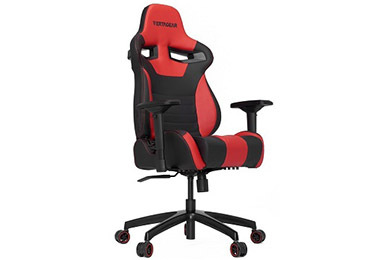 The standard version of this chair costs around $340 but upgrades can drive this price up. Uh oh. This is where companies usually tack on charges left and right. We’ve seen armrests, of all things, costing $50 extra before. Luckily, that isn’t the case here. The casters are the only thing you can upgrade. There are versions for soft and hard floors, and thankfully, they only cost around $10. This shows a commitment to excellence, not profits, and makes this chair a far better pick than some of the more expensive models around. Let’s address the design for a second. It looks great if a little unoriginal. The SL4000 features a two-tone aesthetic with nine color combinations available. It’s upholstered with PVC faux leather, so it’s easy to clean and water-resistant. There is a slight problem, however. There’s a small hump on the seat between where your legs would go. This isn’t a massive problem and is intended to improve your posture. The issue is that it prevents you from comfortably sitting cross-legged. Again, this isn’t a major issue and won’t affect everyone, but it’s good to know before paying money. There are two cutoffs in the upper backrest. These are designed to improve airflow and keep you cool while you work. Because the backrest itself is so wide, it’s suitable for taller users too – this is something that most other products don’t consider so we’re glad to see Vertagear have put some thought into it. 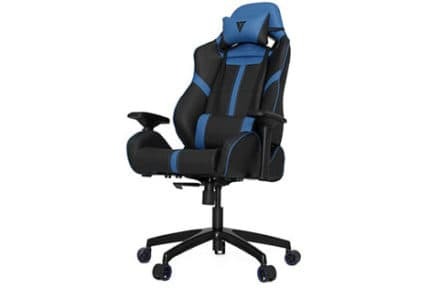 In short, the Vertagear SL4000 is a relatively inexpensive gaming chair that caters to almost everyone. Better yet, it’s easy on the eyes without compromising on comfort. 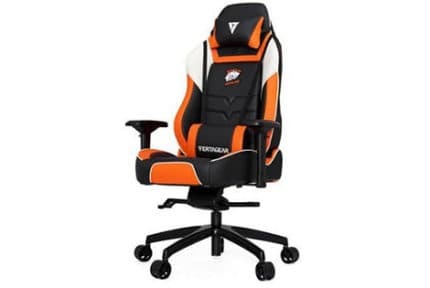 If you’re looking for a high-quality gaming or office chair at a reasonable price, this chair may be just what you need. With a far sturdier build than most of its competitors, the Vertagear SL4000 provides a more stable, comfortable experience for those extended gaming sessions. With so many features and customization options, you won’t need another chair for a few years at least. 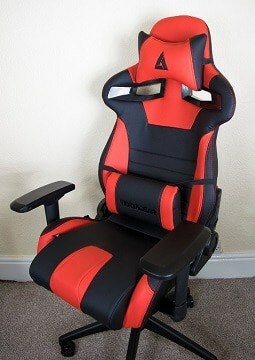 It's also certainly better than the Vertagear S-Line 2000 series and the Vertagear 3000 series. 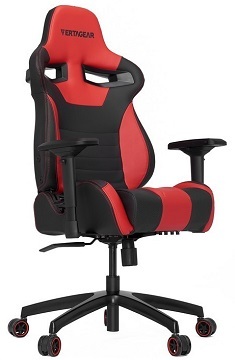 If you want a better chair from Vertagear, you can take a closer look at the SL5000.